Summer adventures and eco-friendly outings offer a great opportunity to involve children in caring about the environment. Here are ten green summer activities you can enjoy with your children — from beach and museum going to seeing your own backyard in a whole new light, kids will relish making these summer memories while learning more about Mother Nature. 1. 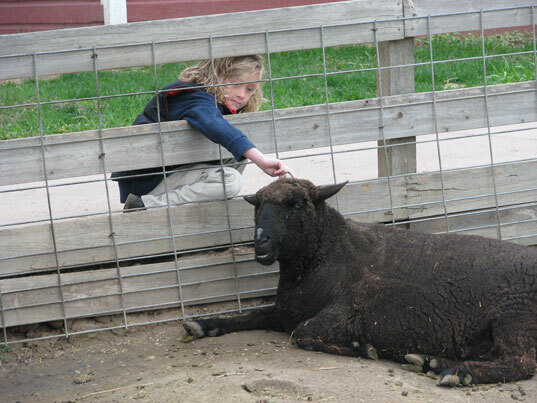 Local Farms: Visiting a local farm is a great way to show your children how food is grown and harvested. They can see which fruits and veggies grow in your area and they may also interact with and learn more about farm animals. Some farms offer classes that allow kids to milk a cow, collect eggs from hens, feed the goats and sheep and ride a horse. You could also visit a fruit farm such as a strawberry patch, and spend the day picking your own berries. 2. Nature and Science Museums: Many local nature and science museums feature exhibits that allow children to see, touch and interact with fascinating subjects. You can also check out an IMAX movie with a nature theme to give kids a grandiose view and insight into the environment. 3. 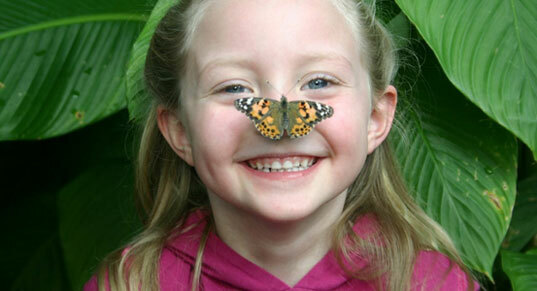 Butterfly Pavilion: Visit a butterfly pavilion and experience free flying butterflies, birds, subtropical and tropical flowers, plants and trees. 4. 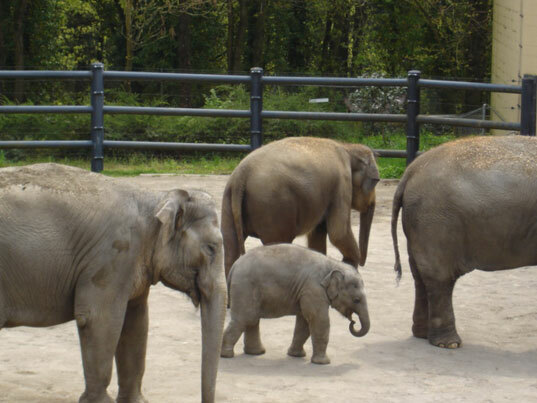 Zoo: Your zoo may offer a junior zookeeper program where your child can learn about caring for the animals while learning about their natural habitats and any threats that they face. 5. Nature Preserves: My family lived in Southern Florida for five years and loved our time spent at the local nature and animal preserves. You can take guided tours to learn about the animals that live there, and many offer classes as well. 6. Library: Your local library is stocked with information about the environment that your children will love. Check out issues of Ranger Rick and National Geographic Kids. 7. Botanical Gardens: Visit your local Botanical Gardens and learn about native plants, trees and flowers. Many offer classes and have ample space for an outdoor picnic. While you are there, look closely for bugs and birds. 8. Hike and Swim: Explore a natural trail in your area. Let the kids look in nooks and crannies and climb on the rocks. 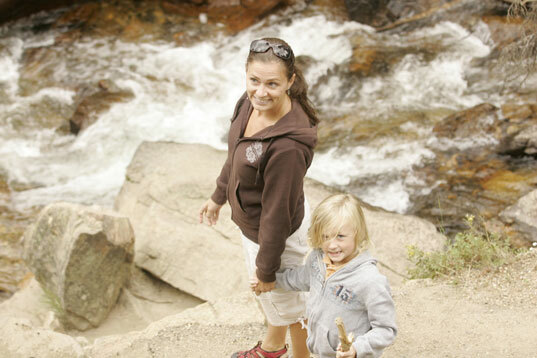 Pack a lunch and enjoy it next to a watering hole where the kids can take a swim. 9. 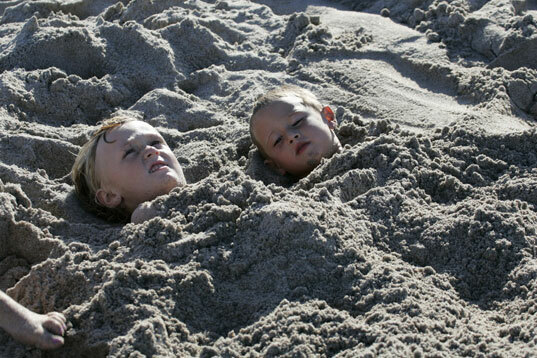 Hit the Beach: Slather some sunblock on your kids and top them off with a great summer hat, then enjoy the waves, build sand castles or bury each other in the sand. The beach is certainly one of nature’s best forms of entertainment. Take kids on a Heal the Bay mission to clean up trash on their treasured beach. 10. Your Own Backyard: Take a walk around your neighborhood or local park. Prepare a nature scavenger hunt for the kids. Write down several items on a piece of paper, give them each a bucket to collect the items found on the list, such as a leaf, rock, flower, feather, etc. This is tons of fun and gets them looking for items they may have otherwise overlooked. What are your green outing plans for this summer? Let us know in the comments section! Thanks to Jennie Lyon of Sweet Greens for submitting this post. I love the fact so many attractions are on our doorstep. We live in Edinburgh and have beaches within a 20 min drive, the zoo, different museums and in august there is the book festival and edinburgh fringe to book shows. Just outside Edinburgh, over in Fife there is a fantastic farm that has converted itself to outdoor activities such as archery, golf, airrifle shooting and go karting. They also have a great child friendly restaurant and a huge play area filled with hay stack and other natural swings and climbing frames. There website is www.clunykids.co.uk - it's well worth a visit. all VERY good ideas!!!! I like how a lot of them are free or local or both! I also love the nature theme! Summer adventures and eco-friendly outings offer a great opportunity to involve children in caring about the environment. Here are ten green summer activities you can enjoy with your children -- from beach and museum going to seeing your own backyard in a whole new light, kids will relish making these summer memories while learning more about Mother Nature.